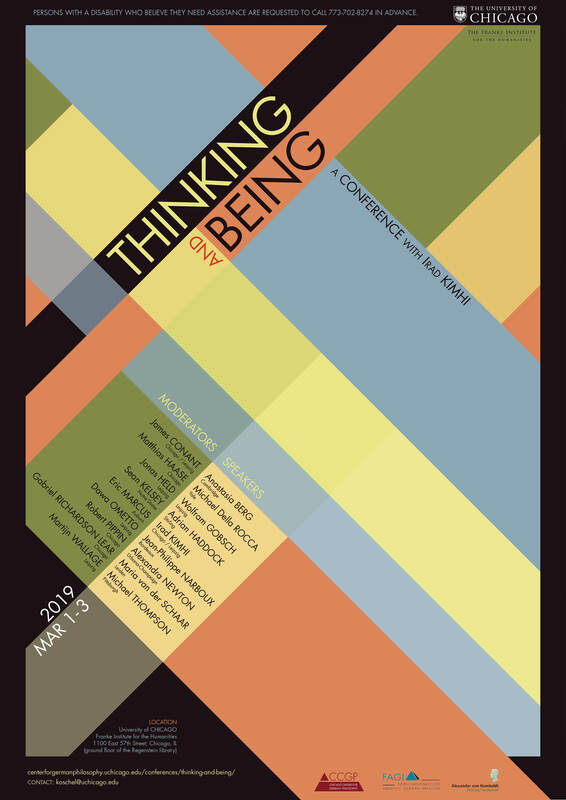 Irad Kimhi’s recently published ‘Thinking and Being’ sets out to recover and clarify the idea that thinking and being are one. After tracing this idea back to the inception of philosophy in Parmenides, Plato and Aristotle, Kimhi shows how it returns to the center of philosophy with Kant’s critical turn and Wittgenstein’s critique of Frege. Eight distinguished invited speakers will discuss various themes from the book and in the ninth and final session, Irad Kimhi will respond to them. No registration is required. The event is open to the public. PERSONS WITH A DISABILITY WHO BELIEVE THEY NEED ASSISTANCE ARE REQUESTED TO CALL 773-702-8274 IN ADVANCE. The conference is not ‘read-ahead’. 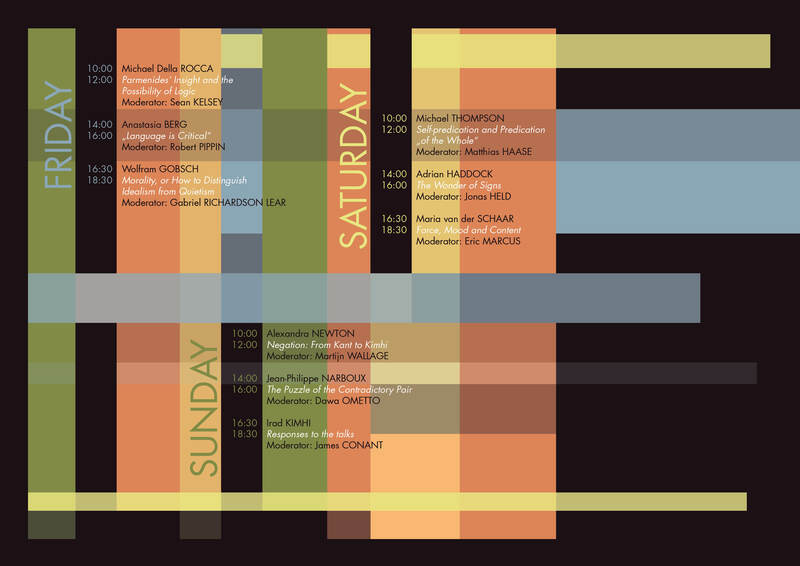 Each session consists of a one-hour presentation and then one hour of discussion.